Welcome Home! On a corner lot in Poistra Estates this beautiful corner home has been remodeled just for you! 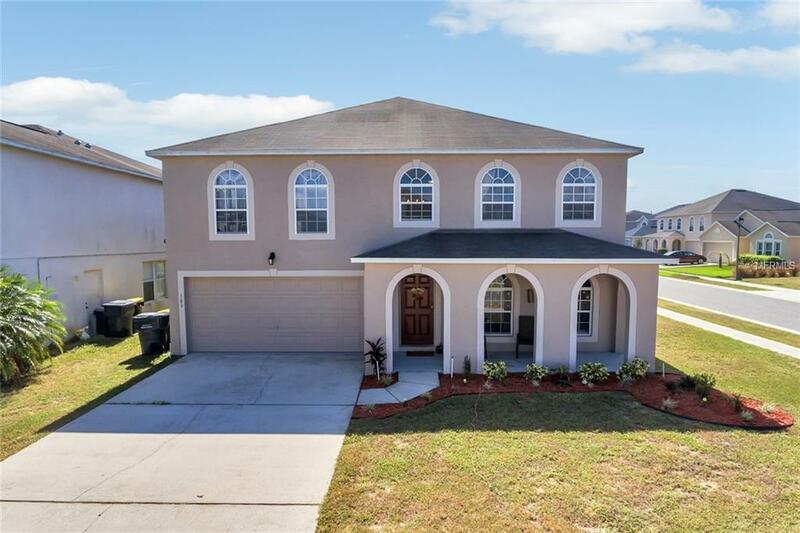 With over 3000 sq ft 4 bedrooms and 3.5 bathrooms this home is perfect for the families that need space. Enter into the glamorous formal living and dining area. A great area to entertain during special occasions. The floors on the first floor are a large 20 x 20 porcelain tiles throughout. In the rear of the house is the casual area. The spacious kitchen has all new 42"cabinets, decorative tile back-splash, granite counters, stainless appliances, pendant lights and an island complete with a wine cooler! The dinette has plenty of space and great sight-lines into the huge family room. Sliding doors lead you outside and the large lot is backed up to a playground. Up the wood stairs is the second floor with laminate floors throughout. First there's another loft area, 2nd Master suite and 2 other bedrooms. The gigantic master could fit 2 king beds! Complete with his and her closets dual sinks, separate shower and tub you have a luxurious retreat.